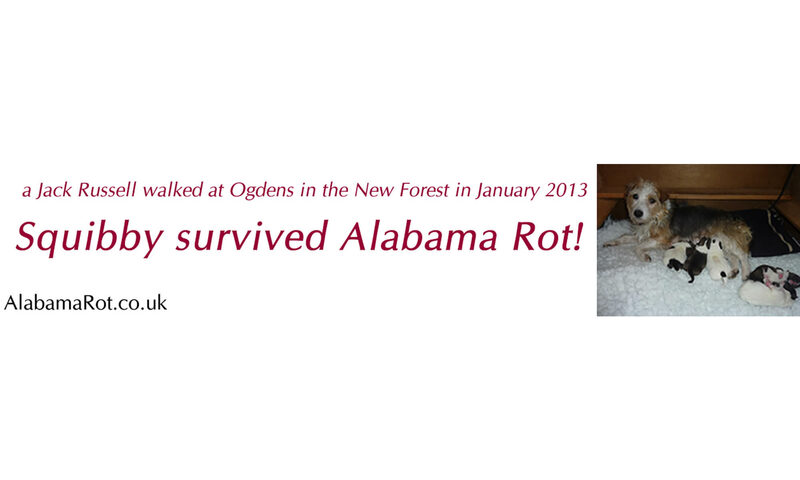 Your vet will take blood samples to test for Alabama Rot: Azotaemia (abnormally high levels of nitrogen-containing compounds such as urea and creatinine), thrombocytopaenia (decrease of platelets aka thrombocytes), mild anaemia (decrease in red blood cells or amount of hemoglobin) and hyperbilirubinaemia (jaundice with high levels of bilirubin). Your vet will also take urine samples to test for Alabama Rot: dilute urine and glucosuria (excretion of glucose into the urine) and casts (cylindrical structures produced by the kidney). My girl is currently very very ill with suspected alabama rot on her leg. In Ireland and it’s so rare here we can’t find the right tests to run. Waiting on a lab in North East England to call us back TOMORROW. She has been like this since Friday and I am going out of my mind. She is our furbaby! Eating ok and in good enough form but not drinking as much as she should(Springer). So so worried for her. Oh Mandy. I’m really sad for you too. That is just a few days before I lost my Shadow to AR….I am heartbroken. So sorry for you both. Our boy has been ill for a week now, trembling, off food, off water, blood tests showing some sort of infection, urine infection also showing but no sign of low platelets. There are some round scuff like cuts on one of his legs but he’s a springer and alsoways diving around. And it’s not gotten worse. Our vet scratching her head and meanwhile our boy just not recovering despite being on a drip twice now. No cases here in Milford Haven and don’t want to be the first. My retriever had something v similar. They said it wasn’t AR but she was desperately ill with an infection that ate into her paw pads. The vet said she’d never seen anything like it. It took 7 weeks before it started to heal and she was put on a drip . The day before she was in puddles/ mud and swamps and it came on very suddenly. Do Vets not routinely do microbiology work up on blood samples and wound swabs? It really sounds like a bacteraemia to me.